In this tutorial we will explain how you can reset Android on your LG G2 quickly and from the comfort of your own home. There are two ways to reset Android on your LG G2 device. The first method consists of using Androids Application Menu, while the second method assumes you don’t have access to the menu, and therefor you need to access the factory reset menu instead. 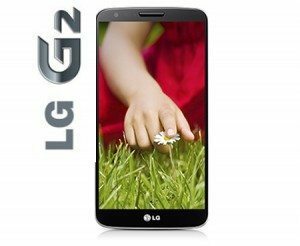 The second method is recommended and needed if you have forgotten your pattern lock or your LG G2 device is locked or blocked for any other reason. Before beginning to execute any of the two methods, remember that when you reset android on your device it returns to it’s out-of-the-box state, meaning that you will loose all your personal information and applications installed on the device. It’s advisable to do a backup of all your data, before continuing. Also, make sure that you’re battery is at least 50% charged. Access the Android Application Menu and go to “Settings“. Go to “General” and then “backup and factory reset”. Press agree and the hard reset operation will commence on it’s own. When your LG G2 device restarts it will in it’s original state, just as out of the factory. You will use this method to reset Android if you are not able to use your LG G2, and thus can not access the application menu. When you see the logo on the screen, let go of the power button, but keep pressing the volume down button and then press the power button once again. To agree to go through with the factory reset, press the power button of your device. Once your LG G2 reboots it will be as good as new. Whichever method you have decided to apply to reset Android on your LG G2, you should now have a clean phone, like out of the box, to enjoy.